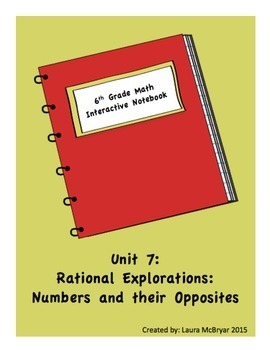 The resource includes note pages for a 6th grade math interactive notebook as well as mini-assessments. All the notes from all year long can be kept in their interactive notebook and they will have it for reference when needed. 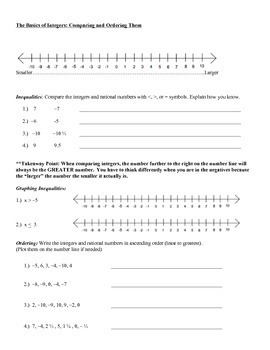 The guided notes are common core aligned (specifically to the Georgia Standards of Excellence) and include topics such as numbers and their opposites, absolute value, ordering rational numbers, and graphing coordinates as well as a table of contents and vocabulary page for the unit. The students will participate in the lesson as they fill in parts on the notes page and then they will get to complete examples to practice the new skill. 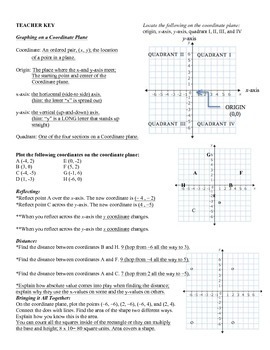 In addition, the resource also includes some reviews and quizzes to use during the learning. Teacher answer keys are included.